Not only flu has seasonal outbreaks, but so do e-Commerce sales. There are few days every year - Christmas, Valentine’s, Black Friday, Cyber Monday etc., when online merchants can generate a large percentage of their annual income at once. The only thing needed - is being visible Google-wise, when a sales frenzy starts. However, exposure isn’t an easy task, considering how many competitors are fighting for shoppers’ attention on sales days. So, how to make your store shine in the mud, in times when it’s most important? 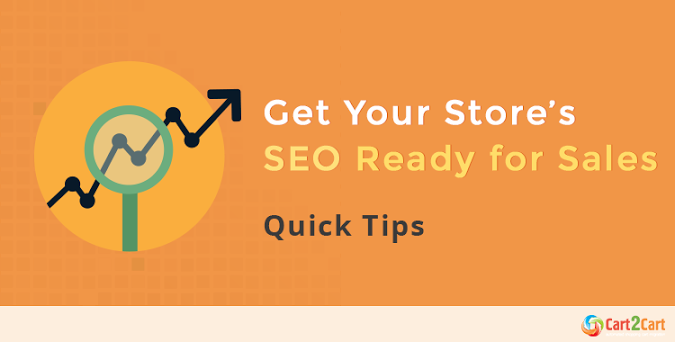 Today, we’ll reveal 5 most effective tips to improve SEO during sales. First off, research. 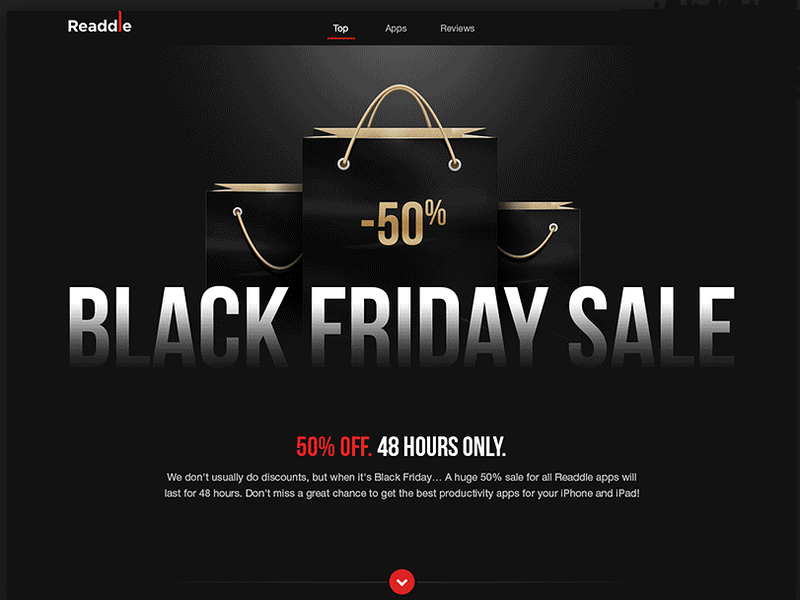 Which days, besides general holidays like Christmas and Thanksgiving, present great sales opportunities specifically for your e-Commerce industry. Try to figure out, when target audience might need your products the most - if you’re selling small tents, for example, consider launching a big sale in the end of May, before the summer's festivals season opens. A large crowd of shoppers presents a challenge to websites’ performance - so, make sure yours can handle huge traffic. Use speed testing tools (Pingdom Tools, GT metrix, etc.) to figure out where you are now, in terms of performance, and fix issues that slow you down. If you’re expecting a particularly overwhelming inflow during sales period - consider using a Content Delivery Network, that’ll guarantee a smooth holiday shopping experience for you and your clients. Special, holiday-themed landing pages are a common practice used by all prominent online stores - don’t neglect it. The strategy is to create a tempting “disclaimer” page first - to inform customers about upcoming sales and collect necessary info, and, then, when the event actually happens, post a stylish, SEO optimized landing page. It is also a good idea to create holiday-themed content preliminary, to stir up people’s interest and demonstrate, once again, how experienced you are in your field. If you manage to make it interesting, it’ll get shared and bring more visitors to your special offer - put effort into it. Once sales are over, do the analyzing - see where people went on your website the most often to put compelling CTAs in those places next time. Note what attracted customers’ attention and what didn’t and unlink your holiday landing page (and holiday product categories) from your homepage. However, don’t delete it - the page should stay in the backyards of your website the whole year round, collecting SEO value. After learning, with the help of Google Trends or similar tools, what is it that your clients search, create product categories to match their demands. Use holiday keywords deliberately, one keyword for one product category. Also, remember, that you’ll be using these same sales pages in the future, so avoid any year references. Unless you’re an utter business genius who came up with efficient sales timing, no one else in the industry had thought of before - you’re going to face competitors. So, your most effective weapon, besides SEO, is attractive offers. Lower your prices substantially, give out long lasting bonuses, presents and so on - it’ll make your store irresistible to all the maniacal sales day’s shoppers. Also, it’d be way easier to convince influential bloggers to mention you somehow (which you ought to do too) if your offers are truly beneficial, so don’t be cheap here. We hope these holiday SEO tips will help you make the most out each sales period. However, we’re, in no way, claiming that our list of measures is absolutely complete. We’ll gladly read your SEO suggestions in the comment box, so feel free to share. Cart2Cart wishes you good luck with your business!